Would You Like to Hear More? Contact Us! 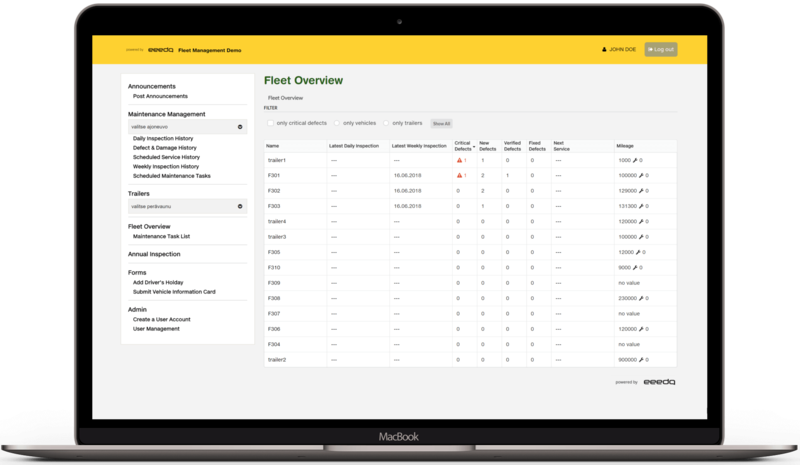 Manage fleet maintenance tasks and pre-drive checks with easy-to-use customizable forms. Forms can be used with mobile devices, laptops, and on-board computers. Cloud-based software – no need for your own server infrastructure. Improve communication and information flow between drivers, operators, management, and maintenance. Everyone knows the current status of a vehicle, reported defects, and what maintenance operations are done and already planned for the future. Analytics and statistics to help track vehicle condition and efficiency. Define inspections to be made between certain time or mileage intervals. Your drivers will be alerted well before a certain action is required. Drivers and operators can report vehicle damages, defects and incidents directly from their mobile devices. 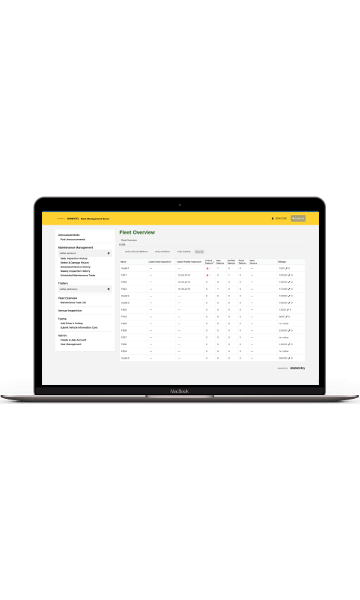 Mobile damage reporting saves time and streamlines the communication between drivers, fleet managers, and maintenance teams. Our fleet maintenance management solution can be integrated to any GPS vehicle tracking solutions via APIs. On mobile devices, our solution can track where certain report (e.g. pre drive inspection) was made or where the vehicle was refueled. eeedo fleet maintenance software helps you to keep track of fixed assets. The condition, quantity, location, and maintenance information of the assets are available in one place. Our fleet maintenance software is also powerful tool for managing infrastructure asset maintenance, rehabilitation, and replacement. Would you like to hear more about our fleet maintenance management solution? eeedo digitalizes fleet maintenance management and visualizes relevant information for the employees. Vehicle operators and drivers can easily check the current status of the vehicle, what defects have been reported, and what maintenance operations have been planned. eeedo improves information flow between the drivers and maintenance. Manage fleet maintenance queue and call vehicles to service automatically when certain a defect is reported. 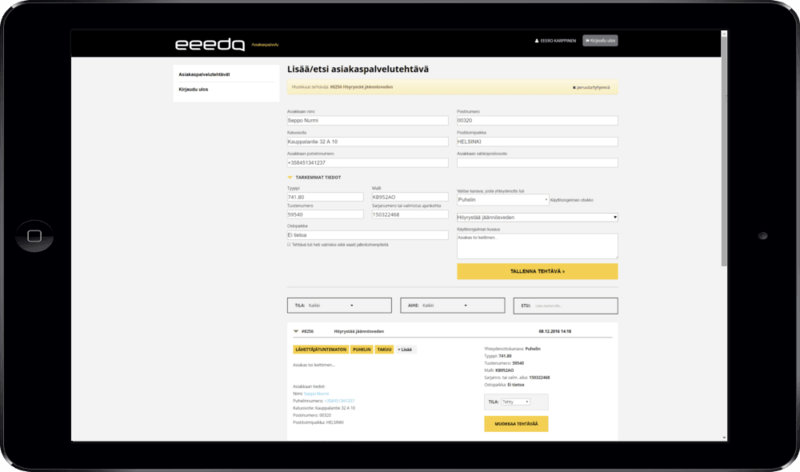 eeedo is a self-explanatory and systematic tool for reporting, tracking and developing fleet usage in organizations. Clear and rigorous reporting on defects, deficiencies, near miss incidents, work accidents, and other observations. Can be used with bi-directional SMSs & MMSs, multi-OS mobile applications and in a browser with a computer. Defects and deficiencies reported by drivers & operators are automatically sent to maintenance task lists based on the priority of the vehicle and seriousness of the defect. Maintenance staff can ask for more information directly from the operator who reported the problem. Every step is logged for later analysis to help improve the process. Our fleet maintenance management system can be enhanced with our internal communication modules which will improve communication between drivers and other company functions. Improve communication between drivers and other employees (for example, payroll, human resources, communication, and management). 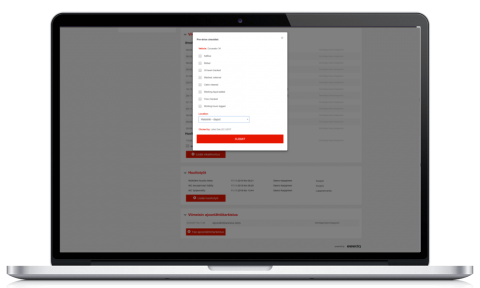 Customizable forms (for example, payroll changes, additional salary, work time change, accident reporting, near miss reporting and more). Start saving time and money with our fleet maintenance solution! Leave your contact information, and we will help you. 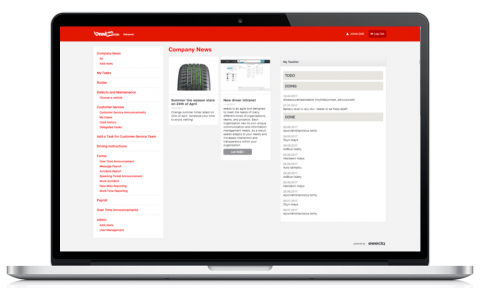 Would you like to see how you could manage your fleet better with our solution?